Do you want a life you’re proud of? One where your dreams come true? Of course you do! Even I want that for you. It isn’t easy. There’s no quick fix. You have to invest time, thought, and intention in every day. The good news? The path to the life you are craving only takes ten minutes a day, is fun, and simple. The answer is a gratitude practice. Yes, it really is that plain. By habitually showing appreciation for the people and experiences in your life, you can manifest the life you’re here to live. 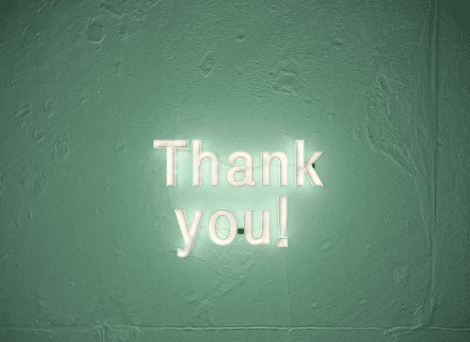 You might be surprised to know there is an abundance of scientific evidence proving the physical, mental, and emotional benefits of gratitude. In fact, Berkley has an entire institute that regularly shares these benefits. 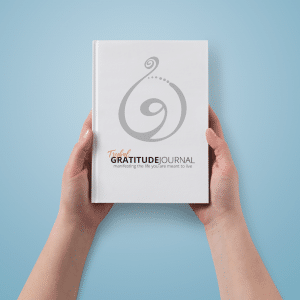 Over the past fifteen years, my gratitude practice has evolved from a simple list of things I’m grateful for to an intentional daily journaling and reflection practice. The first three years were hit or miss – I stopped and started for several years. Slowly, the days I didn’t journal felt off. Before I knew it, I was journaling, reflecting, and meditating through gratitude on a regular, consistent basis without resistance. I even worked through the “Catholic guilt” after recognizing participation, not perfection, was what mattered. During that time, I learned how to extend grace to myself. A lifetime of only extending courtesy to others, never myself, was turned on its head by building an attitude of gratitude through practice. Ten years in, my dreams were manifesting at a head-spinning pace. One day, I sat and reviewed five years of journals. I was able to locate where my gratitude practice aligned to the goals I had for my future. Tears fell as I realized the dreams I’d written down in the gratitude section of my journals matched the entries on the dream side a year prior. I began to research gratitude and found evidence of its power. I knew I had to share this with everyone. If more people lived their lives through a gratitude practice, the better off the world would be. Could we all find our purpose in this life through a gratitude practice? Would the practice work the same for everyone? What if a group of us got together and were in a grateful meditation together? What if you were to move your meditation practice from and internal activity to an external experience? I put on my red ruby slippers and ran down the gratitude yellow brick road with abandon. The last five years of my practice have been dedicated to spreading the news. I’ve used it with my family, strangers, my coaching clients, and inside organizations. And now with the Trybal Gratitude Journal. The experience has been unbelievable. Now it’s your turn to pick up Toto, click those red ruby slippers three times, and repeat, “I am so grateful for…, I am so grateful for…, I am so grateful for…” Before you know it, you’ll be home, in a place designed for you! You can find Alexsys Thompson and the Trybal Gratitude Journal at alexsysthompson.com. Alexsys Thompson, MLC, BCC is the creator of the Trybal Gratitude Journal, a keynote speaker, executive coach, and member of the Forbes Coach Council. Her work is guided by her life’s mission to create safe spaces for souls to show up. Her work combines years of experience and study in leadership, gratitude, and manifestation. Over the last two decades, she’s lead a variety of retreats, spoken at many conferences and events, as well as facilitated large and small group trainings and helped team navigate through conflict. Mozilla firefox is one of the most popular browser using by people all over the world because in Mozilla firefox browser you will get many advanced features just visit here https://foxdownload.org to download it for free without any charge.